1.) 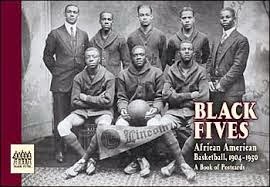 I saw an article in the NY Times about remembering the “Black Fives” of Pro Basketball. Amateur & Professional Basketball teams that played in New York City & around the country, from 1904 to 1950. 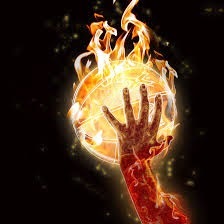 What is interesting is that this history of basketball had been forgotten until someone looking for family on Ancestry.com came across a family tree with the name Claude Johnson. Johnson was a former corporate executive and historian. He found the great granddaughter married J. Hoffman Woods who promoted and managed a team in Brooklyn. These teams Coexisted with the Harlem Globetrotters and the teams stop when the N.B.A. was integrated in 1950. Unlike baseball where the black teams still played even after integration and people know, Jackie Robinson, Larry Doby not to many know, Earl Lloyd, Nat Clifton, Chuck Cooper, & Hank Dezonie. If I visit/lived in New York I would go to see this exhibit. 2.) In college ball: There was already two favorites knocked out! 3.) The Green Bay Packers signed Julies Peppers to improve their defensive line. Today Jared Allen signed with Seattle so now we don’t have to face him twice a year. well i thought Jared Allen had signed with Seattle. he has not yet says he is still thinking about who is going to sign with. my hopes of the Packers not having to play against him twice a year will have to wait. the other day i was watching a spring training game. the Yankees were playing and seeing Jeter play in a while he did look his age. he looked a little slower. i don't know if it is from the two injuries or age or both. i will say at least he is not using and now it makes me wonder how many players did use peds because a lot of guys came back from injuries in their late 30"s and still put up big numbers. just saying. N.C. State lost a sixteen point lead and the game in o.t. to ST.Louis by 3 points down the stretch State was 9 for 21 that gave ST.Louis the chance to win the game. not a way you want to lose when free throws are just that free and they gave away points and the game. talk to you all next week. have a great week !